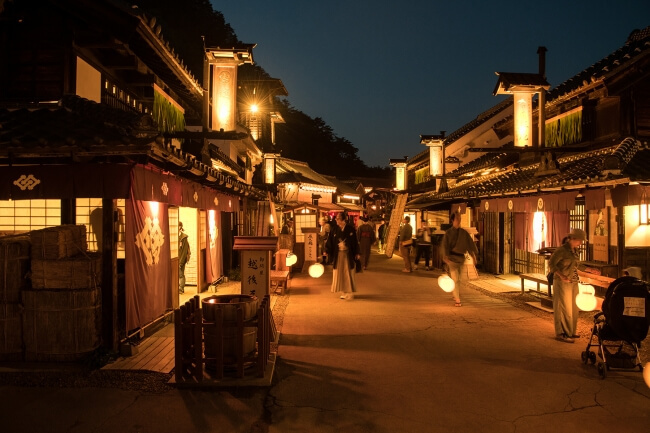 Edo Wonderland is a cultural theme park in Nikko, Tochigi that recreates what life was like back in the Edo period. The park is currently putting efforts in to provide a new kind of food experience to guests. 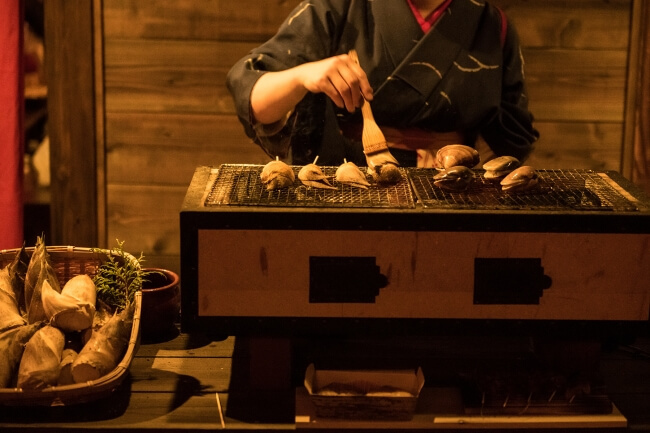 Since last year, with the help of Rei Fuyuki―a food researcher knowledgeable in Edo cuisine―the park has been serving authentic Edo style dishes inspired by the four seasons. This spring, Edo Wonderland is set to host a new event that will offer people a chance to experience an Edo hanami. They will tuck into food from the Edo period while viewing the cherry blossoms. 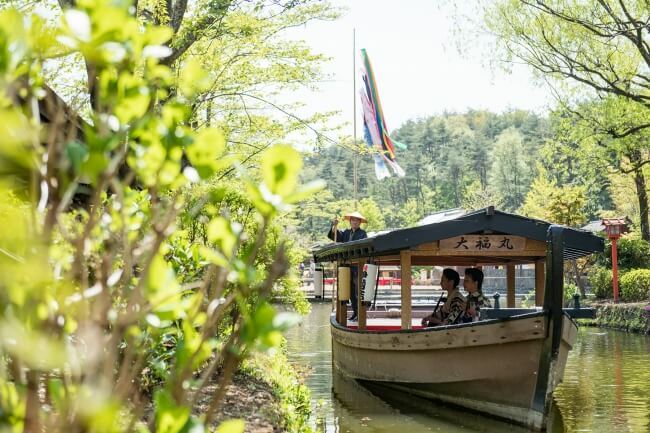 Guests will be able to enjoy hanami in a variety of different ways, be it under the blue sky, on the side of a moat with a bento in hand, in the restaurant with a luxurious hanami-inspired meal and sake, and more. 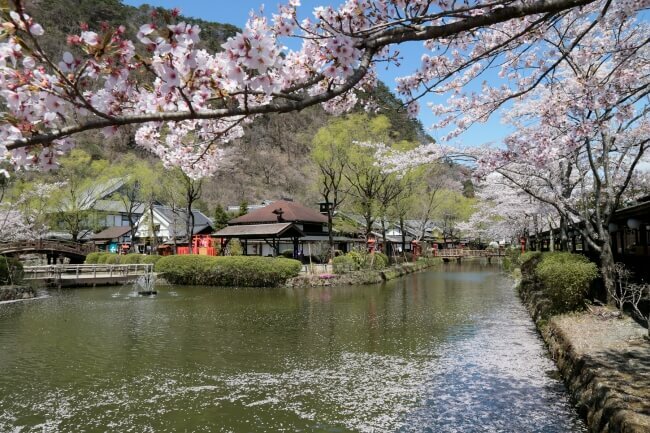 The EDO-SATOYAMA Project is an initiative that aims to restore the original scenery of Edo. 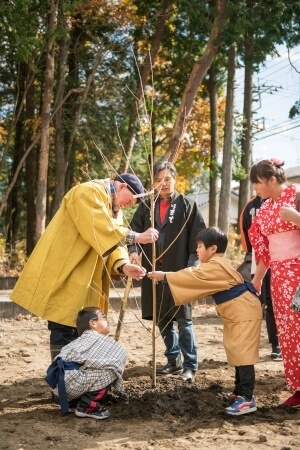 As part of the project, British-born Japanese writer and environmentalist C. W. Nicol planted cherry trees with children from local nurseries last year. He is set to participate in this year’s Edo hanami too where he will fertilise and water plants with the children to help pass on the importance of taking care of the beautiful undeveloped woodlands. 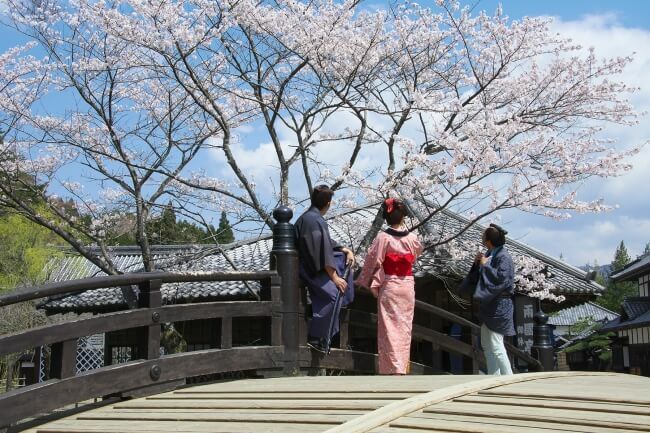 Change into traditional Japanese dress and become a person of Edo to enjoy a unique Edo flower-viewing experience. Eggs ‘n Things releases strawberry and sakura pancakes only for this spring! !